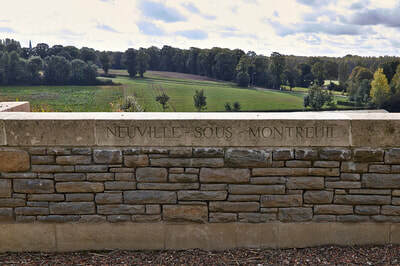 Neuville-Sous-Montreuil is a small village 1 kilometre north of Montreuil. 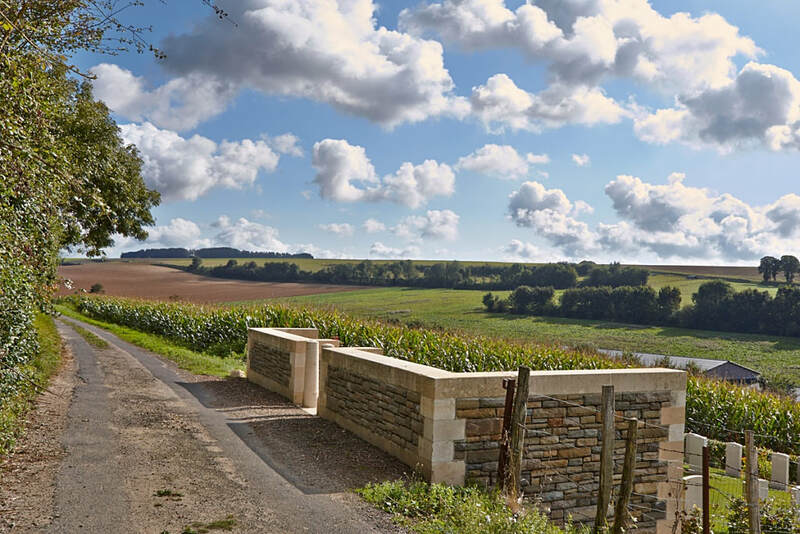 From the crossroads on the N1 turn right after 400 metres on to the D113. Turn left after 200 metres and pass between the house and the white farm wall. 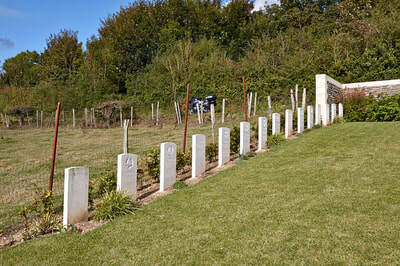 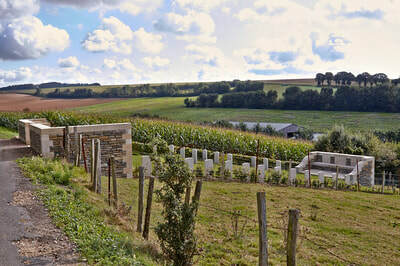 The cemetery is found 300 metres up the track, in open countryside. The Indian Cemetery was made between December 1914 and March 1916 by the Lahore Indian General Hospital. 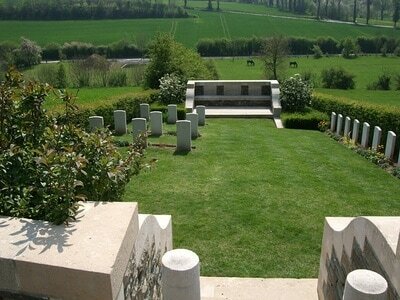 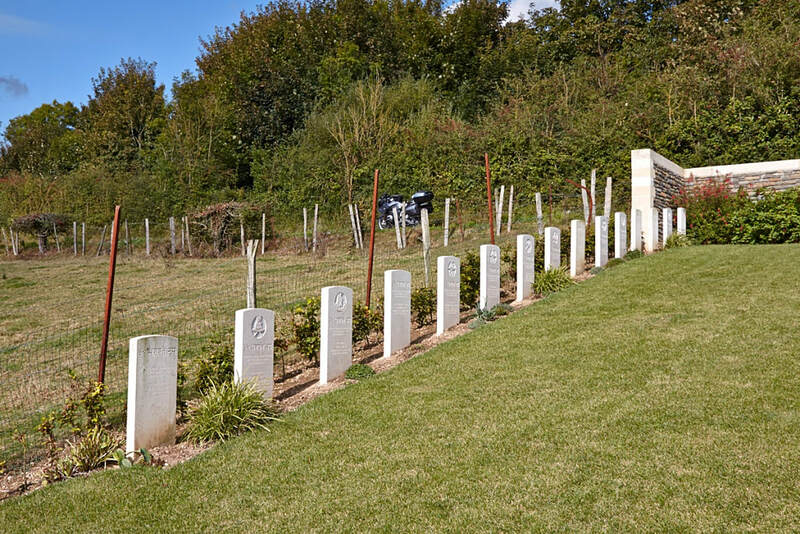 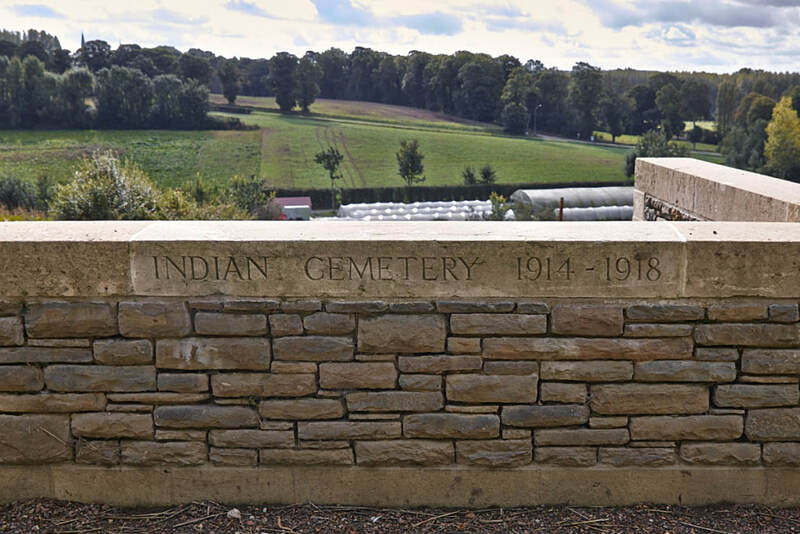 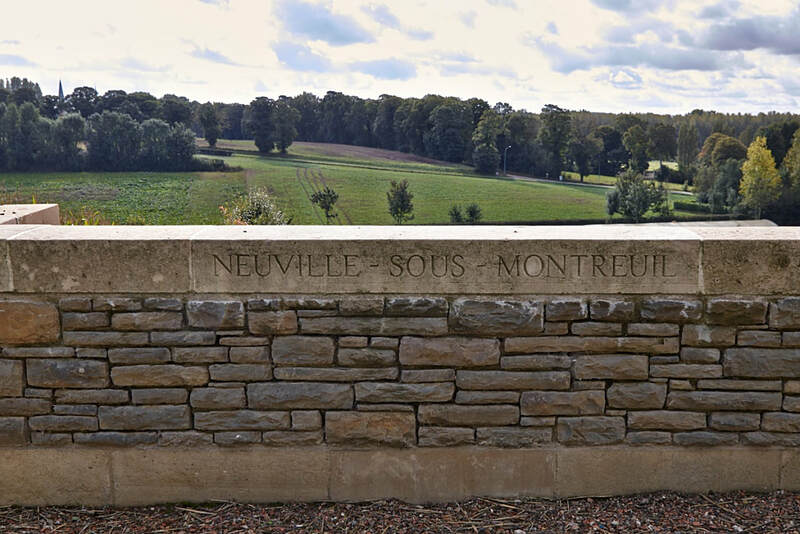 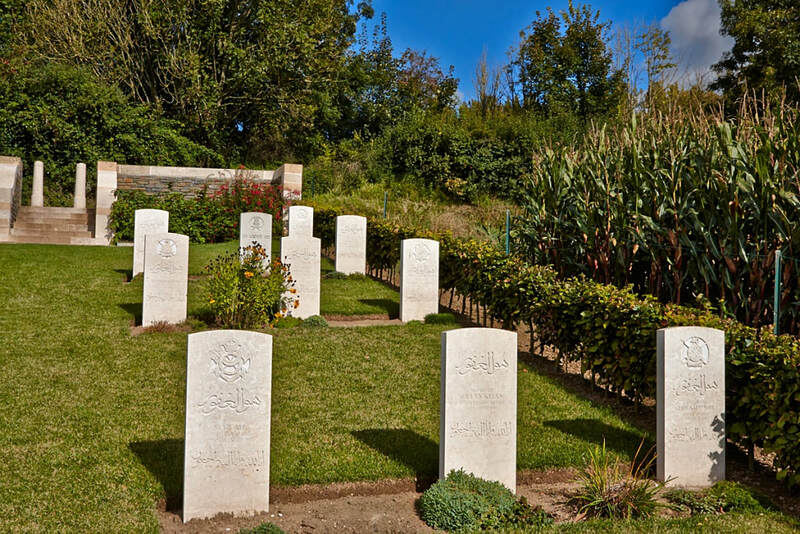 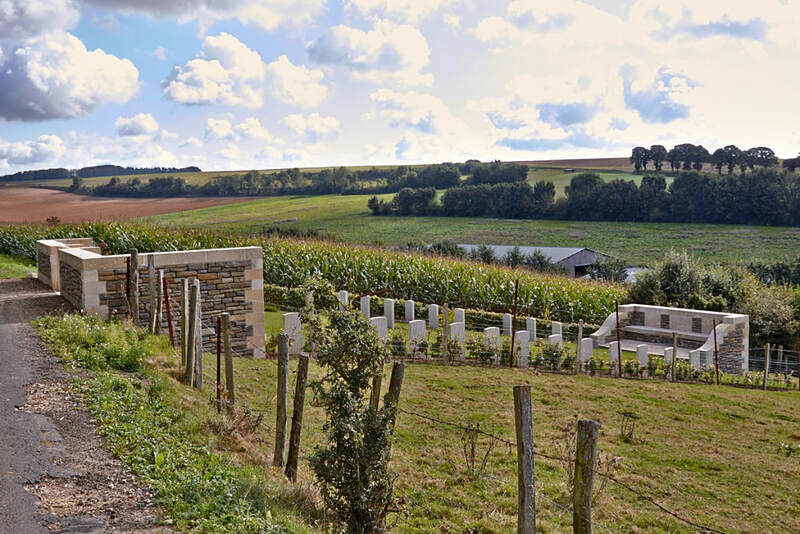 The cemetery contains 25 burials and commemorations of the First World War, including a memorial panel to three soldiers whose bodies were cremated in accordance with their faith. 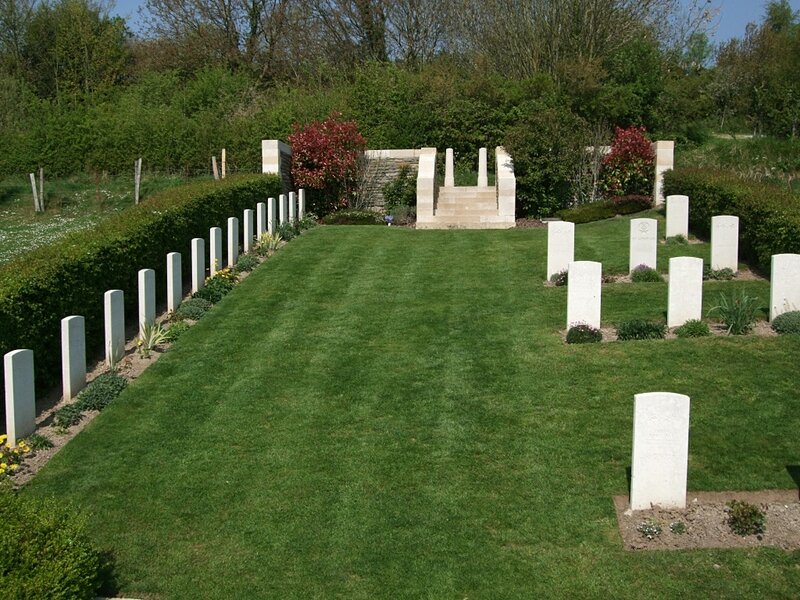 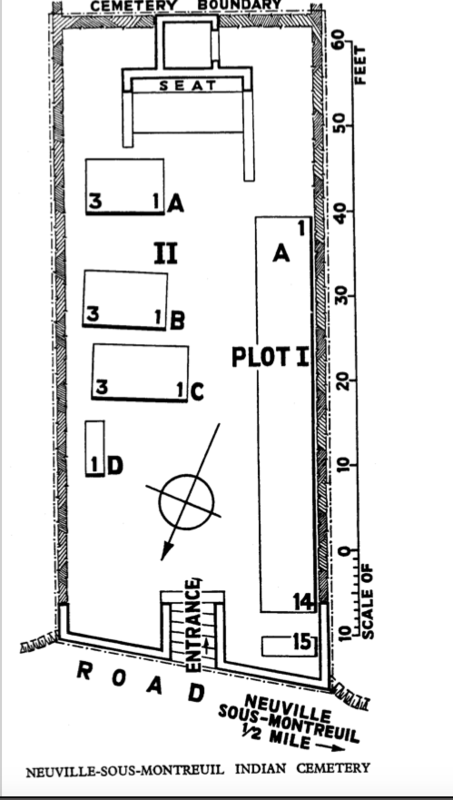 The cemetery covers an area of 239 square metres.